Originally spun out from visual effects boutique Rising Sun Pictures as Rising Sun Research, we changed our name to Cospective in 2012 to better reflect the broadening nature of our business. Cospective is a small agile company made up of experienced professionals from diverse backgrounds, including VFX, games, film post production, engineering and corporate software development. The company retains its passion and enthusiasm by treating every new project as a startup – we can develop ideas quickly and throw them out to the market to see what sticks. Every staff member is part of the creative process and all ideas are valued. Even though we enjoy regularly spending time with our customers in Hollywood and around the world, we wouldn’t want to live or work anywhere else. We have some of the best wine country on the planet, including the world famous Barossa Valley – not to mention some terrific beaches and a true mediterranean climate of warm dry summers and mild winters. Our offices are at the Adelaide Studios, which accommodates a collection of film production, animation and advertising companies, as well as the South Australian Film Corporation. 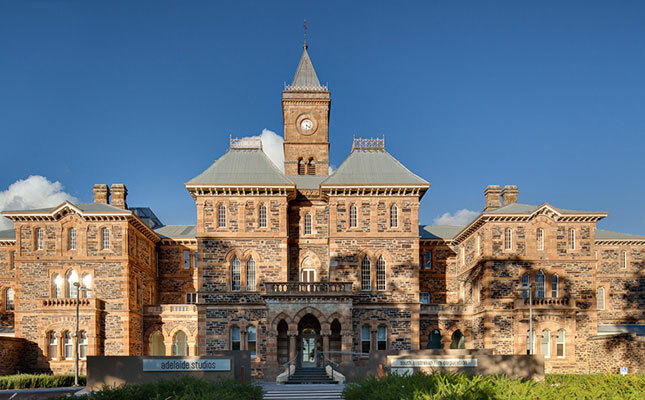 The building itself dates back to mid 1800s and was originally the Parkside Lunatic Asylum, which speaks for itself really. It’s a great environment for creative thinking and working alongside like-minded people. The summer barbecues and beers after work are a bonus! Cospective is always keeping an eye out for talented individuals to work with our team. If you’re a gun coder, an awesome designer or just an all round talent, let us know!